Shadow Trapunto created with white felt applied to a blue background then covered with white Batiste. 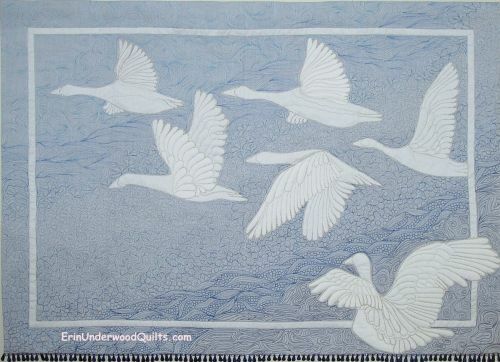 Quilting was accomplished using a myriad of decorative blue threads that ranged from dark to light. Hand-beaded Fringe.